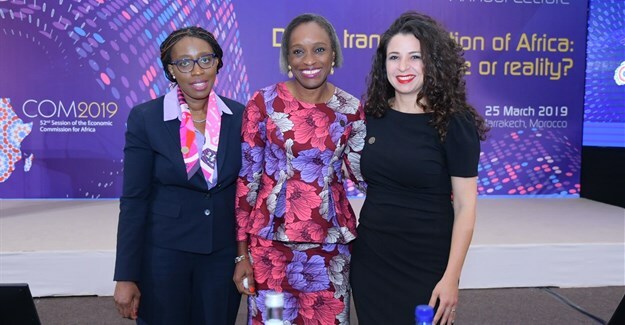 What is holding Africa back in digital transformation on the continent, asked former Nigerian Minister for Communications Technology, Dr Omobola Johnson? She delivered the UN Economic Commission for Africa's (ECA) annual Adebayo Adedeji lecture at the recent Conference of Ministers in Marrakech, Morocco. Held in memory of the Nigerian scholar Adebayo Adedeji – arguably one of Africa’s leading proponents of regional integration – the lecture focused around the question of digital transformation in Africa: Hype or Reality? “There is enough evidence that Africa can be digitally transformed. But what is holding us back?” asked Dr Johnson, when she delivered the lecture to ministers and a host of experts attending the Economic Commission for Africa (ECA) Conference of Ministers. As the world wide web celebrates 30 years, its inventor Tim Berners-Lee told a Nigerian audience recently that the country represents both the present and future of the web, when you look at how it is impacting lives in Nigeria, but also across the continent. “Affordability is an issue: the internationally agreed target is for 1GB of data to cost no more than two percent of the average national monthly income. In Africa this currently stands at 8.76%, compared to 3.5% in Latin America or 1.54% in Asia. And the latest affordability reports show that this has increased over the past year,” she said. She also noted disturbing tax trends, both on digital infrastructure and utilisation taxes, which although seductive, can often have unintended consequences, such as increasing the cost of digitisation and curbing its transformative impact. She called for an urgent need to strengthen the infrastructure and fibre network. Currently when connecting Cape to Khartoum, she said, the connection will take them via London, New York, San Jose and Tokyo, to arrive in Khartoum 409milliseconds later. “When you recognise these challenges and accept that there is a lack of scale amongst our start-ups it could be argued therefore that this digital transformation we speak about might be hyped. 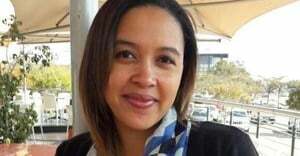 But the increased ownership of mobile phones and those that have access to it, is having a true impact,” she stated. Invited to respond to the lecture, Tawanda Sibanda, partner at global consultancy McKinsey, looked back at the predictions they made in their Lions Go Digital report to assess progress. In the five years since the report was released, the results have been mixed, he said. They had estimated that by 2025 digital transformation could raise GDP by 8% by 2025 and make $300bn of economic impact across health, education, retail, agriculture and financial services. Despite certain metrics being ahead of schedule – smartphone penetration, for example – this has not translated into macro-economic numbers as would have been expected. The percentage of banked for example, has only increased from 26% to 33% in those five years.